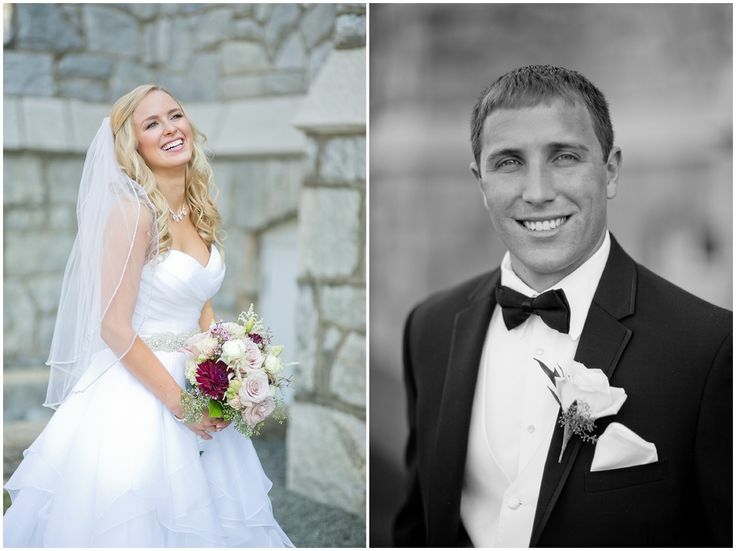 Lexi and Dan recited their vows to each other on a gorgeous late summer day at Saint Thomas of Villanova, followed by a reception at the Aronimink Golf Club. The beauty of this particular day was captured through the lens of Ashley Bartoletti Photography, who was kind enough to share with us her photographs of our floral work for this lovey occasion. The bride requested a gorgeous assortment of flowers in a cranberry/blush color scheme. Her bouquet included white hydrangea (as a base), white astilbe, white ranunculus, white and soft pink roses, pink waxflower, seeded eucalyptus, and burgundy dahlias. The stems of the bouquet were wrapped in a white satin ribbon and a personal memento was incorporated into the wrap. The bridesmaids bouquets were made to reflect the same style of the bride’s flowers, but scaled down to size. The groom wore a classic white rose boutonniere, while his groomsmen wore blush pink rose boutonnieres. The floral centerpieces for the reception were a mix between low cylinder arrangements and elevated flowers in trumpet vases. The centerpieces included a mix of hydrangea, seeded eucalyptus, roses, stock, astilbe, waxflower, dahlias and queen anne’s lace in the same cranberry/blush color scheme that was used for the personal flower pieces. White hydrangea lined the base of the wedding cake for the perfect finishing touch. Congratulations to Lexi and Dan! 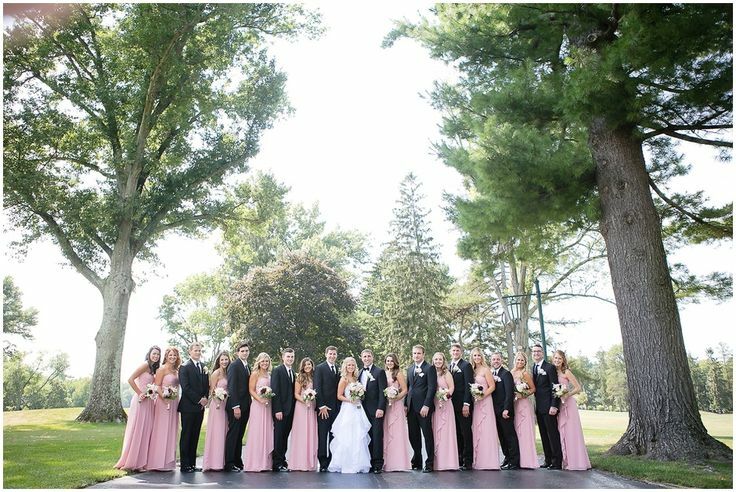 From everyone here at Matlack Florist, thanks for letting us be a part of your day. Previous Previous post: It’s National Pumpkin Day! Next Next post: Meet the Colors of 2016!